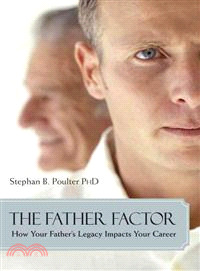 Stephan B. Poulter, PhD (Los Angeles, CA), is the author of The Father Factor, The Mother Factor, Your Ex-Factor, and two other books. He has practiced as a clinical psychologist specializing in family relationships for more than twenty-five years. Dr. Poulter lectures widely and appears regularly on radio talk shows and news programs.